I bought a new camera! I really didn’t want to, but I thought I would treat myself. While editing some photos from a recent wedding, I noticed that some of the pictures that I took, the right half of the picture was out of focus while the left side was sharp. After taking my camera into Henry’s to see my friend Mark, we found that it was my 28-70mm f2.8 lens. We put it into repair. Then I started looking at a full size Nikon camera. 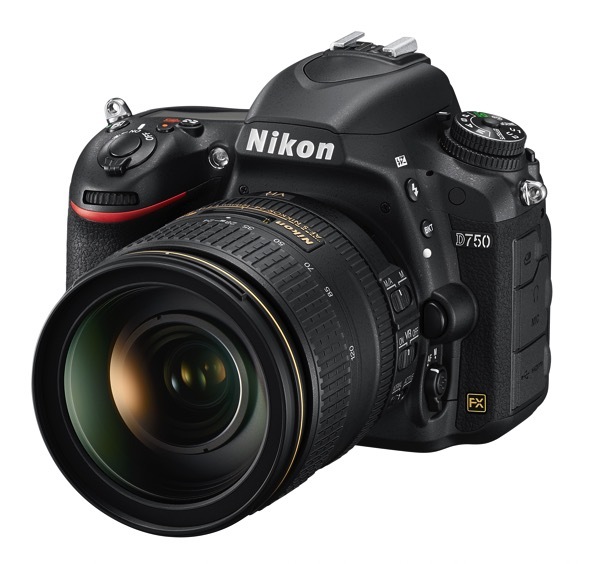 After looking for a while, I found the Nikon D750. Only that there was a few other reason why I wanted it, the best reason was it was an affordable full sized FX sensor camera. I won’t into the details of the tech specs, but needless to say a 24 megapixel sensor, 6.5 frames per second and HD video to boot. Been a while. Sorry, I have been really busy as of late. Ok… I gotta say it… everyone else is… May the Fourth be with you… Ok, now that I got the geek out of me for now…. Hey folks, been a while. This is a going to be a bit on night photography. Special request from Tanya about how to do some. First off, you’re going to need to get to know your camera. Some point and shoot cameras have the ability of doing long exposures, but I’ve never felt the need of trying to find out how, since of course most people these days are going towards DSLRs. You’re going to need to set up your camera to shoot in Manual mode. This setting will give you control over the shutter speed and the aperture. You won’t really need a lens with a high aperture rating like F1.8 or F2.8 This being useful in low light situations, also softens parts of photos that you won’t want softened. I generally will shoot at an aperture setting of F11, F16 or F22. This will sharpen your image, giving a crisp feel to it. Depending on the subject of course. Set your ISO setting in your camera. The higher the ISO, the sharper, but noisier and the more grainy your picture will be. I will shoot at either ISO 100 or 400. The lower the number this time, the more light it’s going to need for the shot. The higher the number, the less light, but more chances of noise. Since you will be taking pictures of the night, you don’t want noise, it will definitely show up in your pictures. Now, unless your stance and your handholding of a camera is like a rock and you can hold that position for an endless amount of time, you’re going to need a tripod. Not just any tripod will do. Sure you can go out there and purchase a $20, joeblow tripod. But it will be less stable. Giving a lot of ‘shake’ to the camera. This is not good, especially in night time photography. Spend a bit more on the tripod. I’ll talk about purchasing a tripod in my next blog. Remote or cable release. This may not seem like an important thing to have, but trust me, you’ll want this. Even with your camera on a sturdy and stable tripod, any action on the camera will move it. Like pressing down on a the shutter release, you may not notice it at the time, but the minute movement will push the camera enough to shake it. Having said that, there’s just one more thing that you might want to think about. The camera strap. Yes, I said the camera strap. They are great, when you are walking around. However, when sitting on a tripod, a little bit of wind or the dangling motion of the strap can move the camera on the tripod. Either take the strap off or hang it securely somewhere on the tripod, but don’t just let it dangle. You can use a mini Mag-Lite with a red filter on it, but I would recommend something like the Skywatcher Dual Red and White LED light. For those times that you need the whiter light. It’ll cost you about the same, after you buy the mini-mag and the filter attachments. Bring a buddy, I don’t care how safe it is in your town, you might be walking around with a couple of thousand dollars worth of camera equipment at night. This can tempt a lot of people into doing a few things. It’s always good to have someone watch your back. Plus, with another photog around, it’s fun. Sometimes, they may have a perspective that you might not have even thought of, not to mention, you won’t feel as lonely, having someone to talk to. Having said all that, now all you have to do is find an area that would be great for night time photography. Choosing a spot isn’t as easy as one would think. You’ll want a area that has nice even lighting from all around. You might not notice it, but even the smallest bright light can ruin a shot. As you can see, in the above picture, it shows a great night time evening skyline of the Ottawa area. You’ll notice that in this shot, the bottom right hand corner, there’s a car dealership that has it’s lights on for security reasons. Yeah, it just totally ruins it for this picture. It almost looks like a bright sunny day in that area. Also, the parking area, about mid way in the photo, they have their lights on as well, for safety and security as well. Once you have selected an area. Go out, experiment and have fun while doing it. Composition, choose a focal point, remember the rule of thirds. Set your tripod and camera up, take your time, this isn’t a race. Start at an aperture setting of F16 and a shutter speed of 1” (one second). See how that looks. It’ll probably look pretty dark. Increase the length of your shutter speed to 30” and see how that looks. Then to 45”, 1’ (minute), etc. etc. Take many photos at various lengths of time, various apertures. Like a friend once told me, “you can take one photo, leave, and find out that it’ll be total crap and you would’ve wasted your whole time, or you can take 400 photos, 399 of them will not be to your liking, but there will be that one perfect shot and it’ll be worth it”. Once you start taking photos at night, you’ll start to get use to it. You’ll start to know when aperture and shutter speed are around what you should use. Try to get it right in the camera first, then you’ll have a lot less to do in post processing. Also try out different things. Turn the picture into a black and white photo and see what type of effect it will have. Try some star filters, to give the brighter lights a star burst effect, take a picture near water for light reflections. Try it in areas where there is light movement, ie. Moving cars. Try something static, that gives an interesting feeling. Hey, another photography blog tip. So what exactly is DOF? In optics, especially film and digital photography. It’s the range of focus between the distances of objects. DOF is determined by the subject to camera distance, the lens focal length, lens f-stop, format size (APO Sensor or Full Format) and what is known as the Circle of Confusion criterion. I’m not going to get into the science of it, this will just confuse you. You just need to know what impacts DOF. In most some cases, agreeably, it is preferred to see the whole picture as sharp. However, in other cases, it is preferable to have the main subject stand out, by having that object as sharp as possible and the background blurry. This is mostly seen in Macro Photography and portraits as well. How do I achieve such a photo? 3. Position the camera. Handhold, about 25cm away, zoomed in at 70mm. 4. Set the F-stop via the Aperature Priority or Manual, for the purpose of this blog, I have chosen Aperature Priority and have used F22, F11, F5.6 and F2.8 (note: the higher the F number, the LONGER the shutter needs to stay open, especially in low light, unless you are shooting on a tripod, use a flash). 5. Decide whether you want to shoot with manual or automatic focus. I have chosen to set my Nikon D200 on automatic continuous focus. The next few photos will show you a look and which F-stop to choose for your DOF photos. Click the pictures below for a larger view. This was shot at F22 with flash, notice the sharpness over the whole remote? This is great, if you want to do something like take a picture of the object to sell it. It gives the greatest detail of the object overall. I shot this one at F5.6, you can definitely tell the the top and bottom ends of the remote are out of focus, making the VOL and CH buttons very clear. Now you can definitely tell that the center buttons are the main focus of this photo. Shooting at F2.8 will give you a really shallow DOF. Of course these photos were taken with a DSLR camera. It is rare that a point and shoot camera will have this type of function. I do know that the Nikon Coolpix 5700, 8700 and 8800 did have the ability to control f-stop and shutter speeds (these models have been discontinued). This type of point and shoot camera is also known has a Bridge Camera. Other companies do have their own, but again, I deal in Nikon.